Born Rose Louise Hovick on January 9, 1914, Gypsy Rose Lee succeeded in using the striptease as a vehicle to international stardom. When Louise was four, her parents divorced, leaving her mother Rose to support Louise and her younger sister, June. Rose decided to manage her daughters in stage careers, a goal she set to with uncompromising determination. Through her relentless drive, Rose succeeded in booking their act, called “Dainty June and Her Newsboy Songsters,” in vaudeville theaters throughout the country. Both daughters, however, resented Rose’s domineering personality. In 1929, at 13, June finally escaped her mother’s control by eloping with one of the “newsboys” hired by Rose. Under the name Louise Hovick, Lee appeared in several movies, but she had far greater success as a writer. Entirely self-educated, she wrote The GString Murders in 1941, which became one of the year’s best-selling novels. The following year, when Mayor Fiorello La Guardia closed New York’s burlesque houses, Lee increasingly turned to writing. She wrote a second mystery novel (Mother Finds a Body, 1942), a comic play (The Naked Genius, 1943), and many articles for Collier’s, The New Yorker, and other popular magazines. Her greatest literary success, however, was Gypsy: A Memoir (1957). Rather than being a strict autobiography, the book focused on her youth in vaudeville and burlesque with the character of hermother Rose at center stage. Two years after it was published, Gypsy became the basis of a critically and popularly acclaimed Broadway musical starring ETHEL MERMAN as Rose. (The part was later played by ROSALIND RUSSELL in a 1961 film and by BETTE MIDLER in a 1993 television production.) Its success helped fund Lee’s passion for art and antiques, which filled her lavish 26-room Manhattan townhouse. 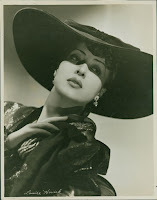 To capitalize on Gypsy’s success, Lee put together A Curious Evening with Gypsy Rose Lee, her own one-woman show that premiered in New York City and then traveled to Los Angeles in 1961. She decided to settle permanently in Beverly Hills, where she hosted a slightly risqué televisionb talk show. Still celebrated for her witticisms long after her stripping days were over, Lee died of lung cancer at 56 on April 26, 1970. Married and divorced three times, Lee had one child, a son named Erik; he was adopted by his father, film director Otto Preminger, after her death. Archer, Stephen M. “Lee, Gypsy Rose” In American National Biography, edited by John Arthur Garraty and Mark C. Carnes, vol. 13, pp. 371–372. New York:Oxford University Press, 1999. Lee, Gypsy Rose. Gypsy: A Memoir. 1957. Reprint, Berkeley, Calif.: Frog, Ltd., 1990. Gypsy (1993). Pioneer Video, DVD/VHS, 2000/1999.